Posted: Sunday, September 4, 2016. 1:32 pm CST. By BBN Staff: On Thursday September 1st, the Minister, his CEO and Brigadier General David Jones visited the BDF Headquarters at Price Barracks, Ladyville. 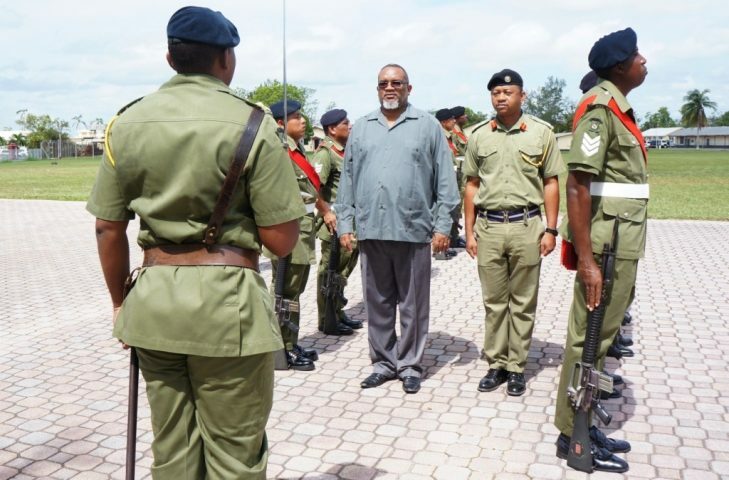 The Minister and his CEO were given a full tour of the facilities at Price Barracks including command and training centers, living quarters and the force’s hospital, which is gradually being upgraded to meet NHI standards and serves the needs of BDF soldiers and personnel as well as civilians from surrounding communities such as Ladyville and Lord’s Bank. They also inspected physical damage to residences and facilities on Price Barracks caused by Hurricane Earl. 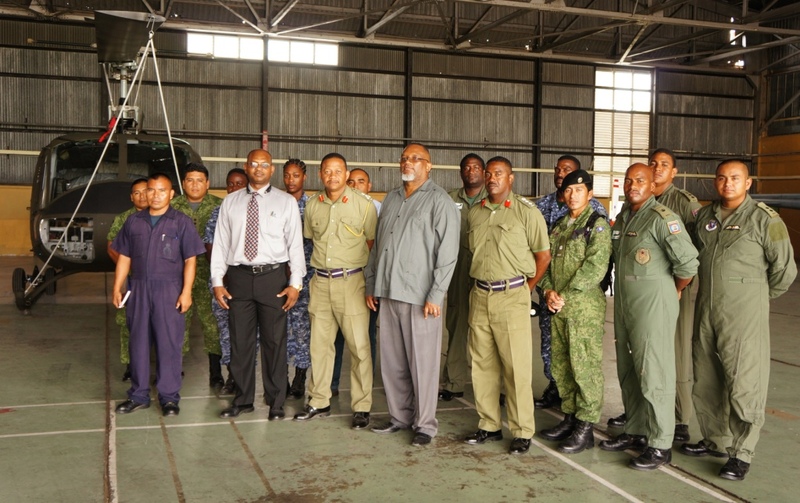 The release also stated that Minister Saldivar visited the Air Wing near the Philip Goldson International Airport and BDF facilities at Militia Hall on the George Price Highway near Belize City. Saldivar and Enriquez will continue their tour to other BDF installations countrywide in order to complete their full assessment of the state and readiness of the Belize Defense Force to fulfill its various functions.